What can a woman do to promote a healthy pregnancy? Pregnancy is a beautiful phase in every couple’s life. It is not only special for the parents to be but also to the entire family. Everyone eagerly waits for the little one, who brings a season of joy and celebrations. Care is needed not only after the delivery but also during pregnancy i.e. during nine months when a woman is conceiving. A woman undergoes physical as well as emotional changes when she is pregnant and these changes are very fast. What she feels during pregnancy affects both the baby and mother. So a mother needs everyone’s attention and cares to adapt to the changes. New mothers experience tension, anxiety, mood swings and cravings. The best thing to do during pregnancy is to accept the changes and consider the changes to be normal. Pregnancy is a different experience altogether and it is recommended to consult a good doctor. Right from your first visit to the series of checkups that follow, the physical health of the baby and mother is considered as a priority. A good care should be provided during pregnancy for normal delivery of a healthy baby. There are many healthcare centers in India that provide all the facilities and services under one roof. 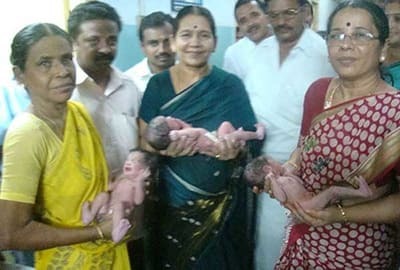 Guru multispecialty hospital in Madurai is one of the best fertility center in Madurai that has all the high-tech facilities. It is a one of the leading women care & infertility care center in Tamil Nadu. The center also serves as an infertility training center in the country. The hospital was established with an aim to make infertility treatments available and affordable to common people. The eminent team of doctors, specialists and other staff member is lead by Dr. B. Kalpana. Dr. Kalpana has terrific academic record and experience in the field of infertility treatments. She had also organized more than 25 free medical camps across Tamil Nadu where free infertility treatment was given to the needy patients. 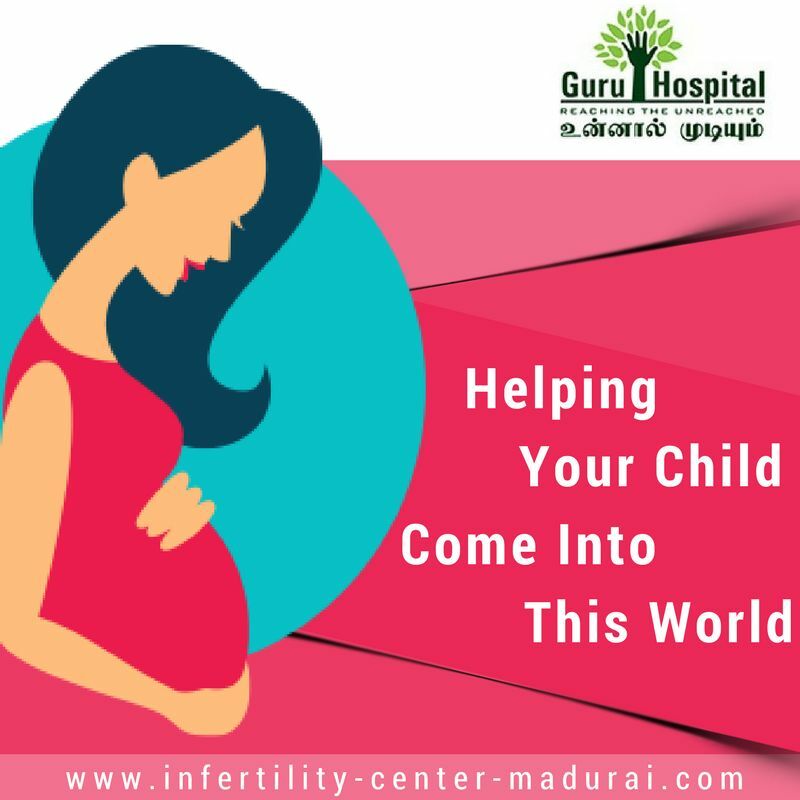 Guru hospital, best hospital for pregnancy services in Madurai is not just an infertility care center, it also provides other facilities to pregnant women like – gynaecologic surgery, high-risk pregnancy treatments, antenatal care, labour & delivery centers etc. Guru is a hope and comfort to common people. With its advanced technology and assistance, it is a blessing to people who cannot afford the latest technology. 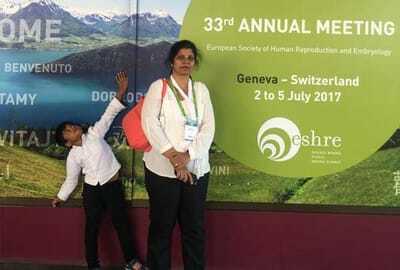 Dr.B.Kalpana at European Society of Reproductive Medicine Conference at Switzerland.